An official trailer and release date for the second season of The Chilling Adventures Of Sabrina has just dropped. 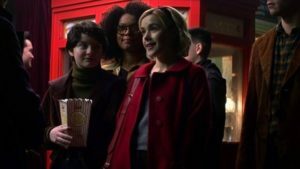 If you’re a fan of The Chilling Adventures Of Sabrina on Netflix then you’ll be pleased to know that not only has a second series officially been confirmed, there’s now a trailer and a release date to go with it. Netflix confirmed on their official social media that Sabrina’s adventures would be coming back on April 5th, and it appears she’s gone ‘full witch’ for the next season. It was also recently announced that the series would be getting a Christmas special. The man behind the series, Roberto Aguirre-Sacasa, Tweeted to his fans that the festive instalment will drop on Friday, Dec. 14. The episode description reads: “The Church of Night, like all covens, celebrates the Winter Solstice — the longest night of the year — when families gather together around the Yule Fire to sing pagan carols, tell ghost stories and huddle against the supernatural creatures that come out to cause mischief. The series only debuted recently on Netflix, but it’s already in trouble as The Satanic Temple has filed a lawsuit of $50 million (£38 million) against them. Basically, it’s all to do with the depiction of Baphomet. A deity that the Satanic Temple claims is part of its copyright. They also reckon that he’s portrayed in an unflattering manner. The suit has been filed with the New York Federal Court. “Baphomet historically involved a goat’s head (sometimes known as the ‘Sabbatic Goat’) on a female body associated with Lilith, a figure from Jewish mysticism sometimes considered a goddess of the night. The classic visual representation of idea of Baphomet is an image created in or about 1856 by an occult historian Eliphas Levi. Satanic Temple founder, Lucien Greaves, told CNBC: “A lot of people who haven’t heard of us first stand to just recognise that monument as the Sabrina monument, which dilutes and denigrates the entire project. “It does really kind of normalise this notion that the only true meaning of this type of religious identification is one that can be associated with a patriarchal, cannibalistic cult. When a Twitter user asked what the connection to Blood Libel is, Greaves goes on to explain a bit more about why he’s pretty irked about the whole thing:“We’re a religious group with a unique central icon appropriated without our permission into a TV show that uses it to portray an evil cannibalistic cult,” he said. I’m amazed that anybody is confused as to why we would seek legal remedy over Sabrina using our monument. Would they be as understanding of a fictional show that used a real mosque as the HQ of a terrorist cell? A fictional Blood Libel tale implicating real world Jews? 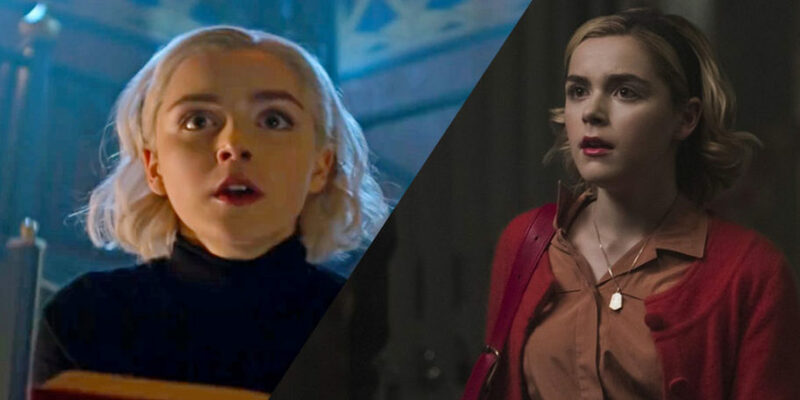 The Chilling Adventures of Sabrina takes a closer influence from the original teenage witch story by Archie Comics. 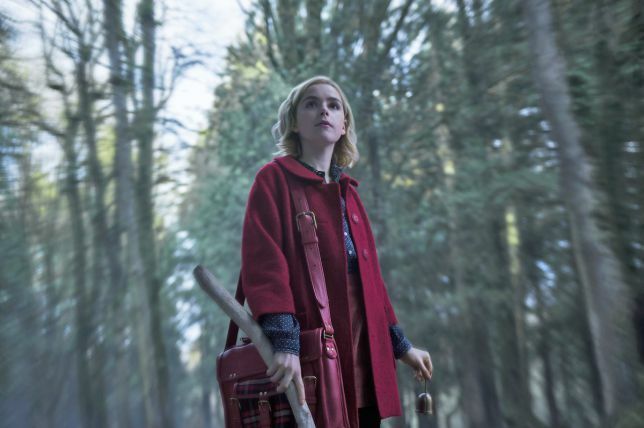 It was already announced that Mad Men actress Kiernan Shipka would be taking on the leading role and now Netflix have given us our first look at the young young witch. The Sabrina’s turned to reveal the just-in-time for Halloween release date of October 26. Riverdale creator and Archie Comics chief Roberto Aguirre Sacasa, is at the helm of the project, he’s made clear his excitement at Shipka’s casting. 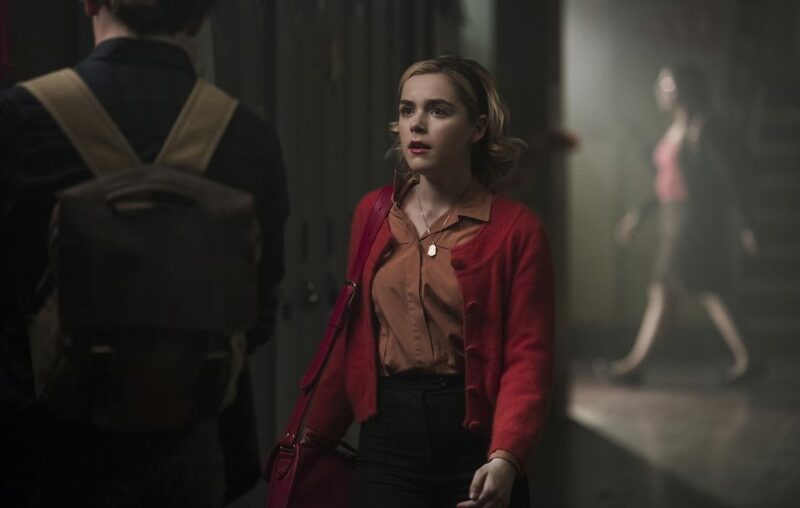 Running for 10 episodes, the story is based on Archie’s Madhouse, the first to introduce Sabrina, and has been designed to take place in the same world as Riverdale, and originate in neighbouring town Greendale.